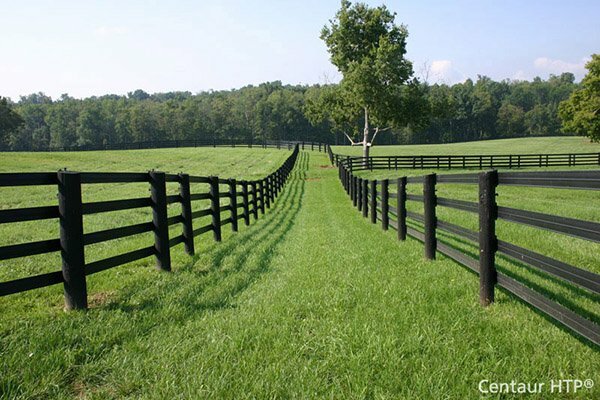 OZCO Building Products Timber Bolts | Hoover Fence Co.
OWT Timber Bolts combine the beauty of the OWT Hex Cap Nut and Timber Screw with the strength of a through-bolted connection. These bolts are engineered to replace standard thread-all, carriage or other similar through bolt arrangement. OWT Timber Bolts are especially designed to work in conjunction with Ornamental Wood Ties and connectors but are also very useful in any location where a strong bolt connection is required. Features patent-pending "inside-out" compression technology. When tightening conventional through bolts, the more the fastener compresses the material, the more the fastener is exposed. The exposed threads can create a safety concern or visual distraction that is often unacceptable. Cutting the excess fastener is often the only solution which also causes issues with rust, sharp edges, and compromised corrosion resistance. 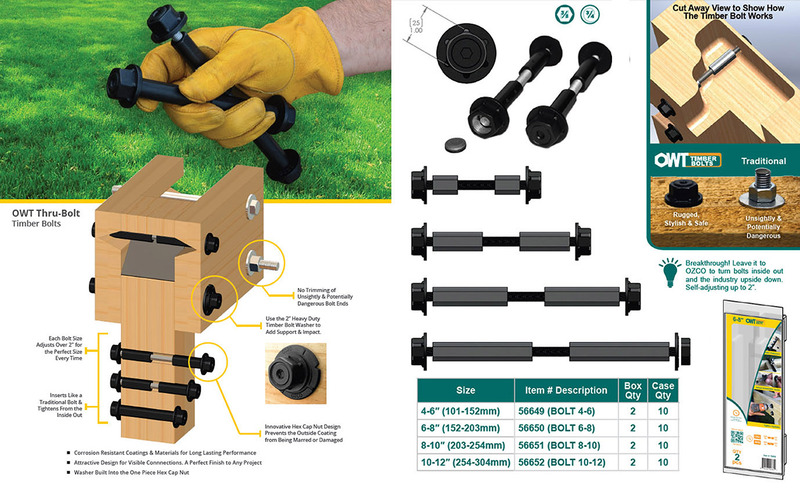 OWT Bolts are offered in 4 sizes that together will connect material from any size between 4 in. to 12 in. The take up for each bolt is 2 in. which takes the guess work out of choosing the correct size. Engineered performance tested for product stability. Most attractive through bolt available. Pre-drill with 3/4" auger bit. Includes (2) Timber Bolts and (4) Hex Cap Nuts. Suitable for contact with ACQ treated lumber. 3/8" hex driver required to tighten the bolt. Bolts are adjustable up to 2".